These are the publications that my artwork appears in; they are for sale and available through various publishers and book stores. Just follow the links. 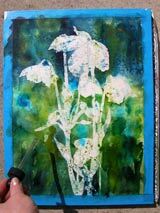 step-by-step watercolor paintings for this book: a fuchsia flower I call Tiny Ballerina, a blue poppy, or Himalayan poppy, and Lily of the Valley flowers. It was published in 2010 out of the United Kingdom by the Reader's Digest (Quarto Books). 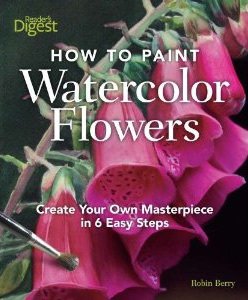 No matter your level of expertise, How to Paint Watercolor Flowers will provide you with countless hours of fun." 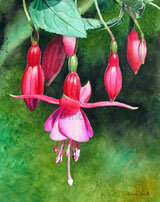 step-by-step watercolor painting for this book. 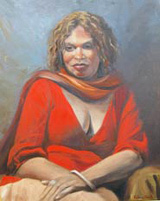 It was published December 8, 2011 out of the United Kingdom by the Reader's Digest (Quarto Books). "This beautifully illustrated book is an indispensable compendium of essential know-how and ten inspirational projects using watercolor. It includes over 200 tips and step-by-step techniques organized to help you build on each skill you learn. 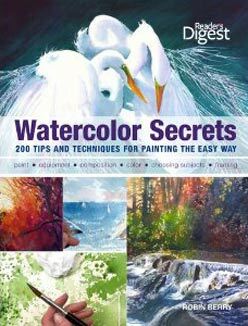 Aimed at all painter levels, Watercolor Secrets is packed with expert advice on every aspect of watercolor painting. 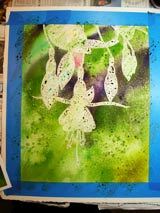 Beginners can follow processes step-by-step, while more experienced artists can dip in and out for help with specific problems. "Try it" and "fix it" panels placed throughout the book suggest ways to practice and develop new skills and avoid or correct common painting mistakes. Each topic, self-contained in a one- or two-page spread, is fully explained and illustrated with photographs and more detailed diagrams where helpful. Advance your artistic understanding, dexterity, and ingenuity with the over 200 secrets included to help you practice the skills you've learned." 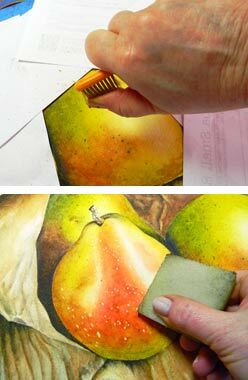 step-by-step watercolor painting for this book. 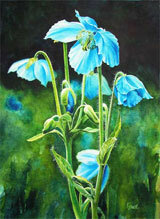 It also includes two more of my finished paintings which appear in the gallery section. 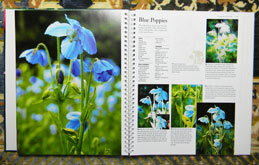 It was published in 2010 out of the United Kingdom by the Running Press and Cameron House. "The technique of watercolor painting—applying pigment mixed with water to a surface—has a long and noble tradition. It was known in China as long ago as the third century, and has been practiced in the rest of the world for at least 300 years. 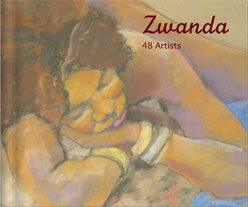 This vivid and informative book brings this technique to the modern-day artist. 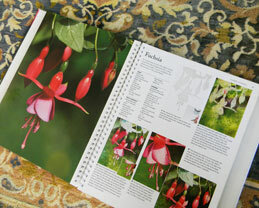 Filled with a complete range of water-based media, it presents more than 30 techniques—explained with easy-to-follow instructions and step-by-step photography to guide and inspire. 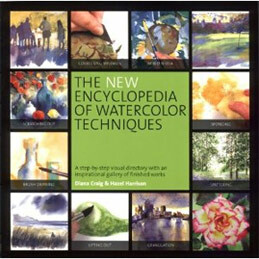 The Encyclopedia of Watercolor Techniques will provide you with everything you'll need to master the art of watercolor." » © 2007-2016 Katrina Small Studios. All rights reserved.